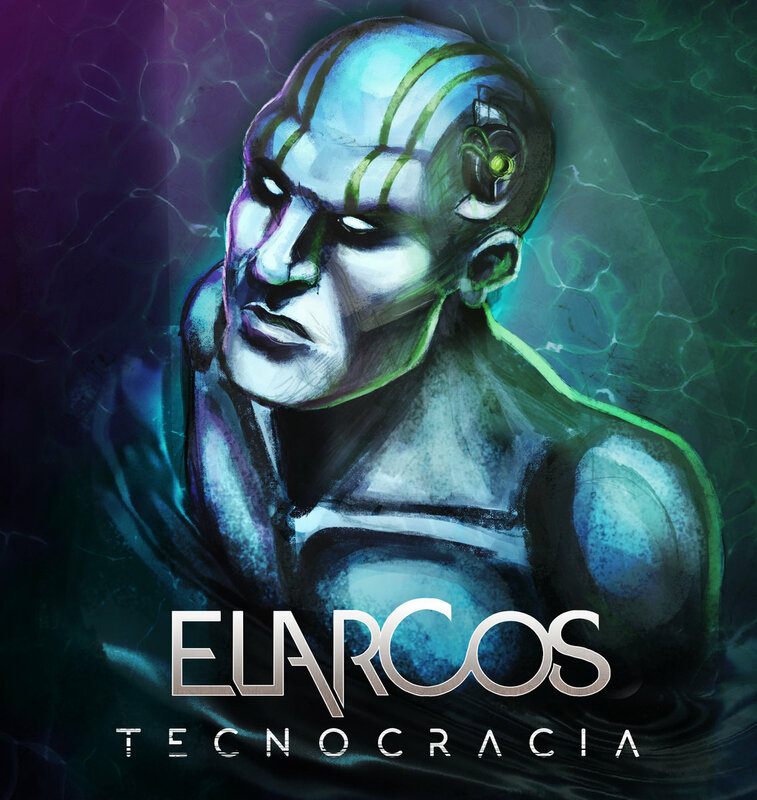 Uruguayan progressive rockers Elarcos put out their debut album Tecnocracia in October, and in a new interview for Prog Sphere guitarist Gustavo Ferrero talks about this unique gem. Define the mission of Elarcos. To tell the truth personally I always thought that art should be committed, convey a content and a message. What we try with the band is to use music as a catalyst for concerns that mobilize each of us as members of the current social power system (power from the perspective of Michell Foucault, taken as something positive, that we all exercise). I do not know if we could say that we have a mission, but maybe a vision: await a more critical world, with minds more open to the new and transgressive. Tell me about the creative process that informed your debut album Tecnocracia and the themes it captures. Tecnocracia addresses issues we feel that are disturbing man in our current societies. Technological devices abound (to the point of being essential for life), but the evergrowing specialisation of sciences in particular branches eventually makes it more difiicult to find people who have holistic knowledge that allows the comprehension of how these devices work. So if now a recognized scientist comes to the media to say that to build a cell phone sand from Saturn is used, we have no way to deny it. It is ironic how in the “information age” we are so uninformed. What is the message you are trying to give with Tecnocracia? We do not think there is a single message. We simply wanted to reflect a little on issues that generate anxiety through a common medium: music. We usually use Guitar Pro, a simple and quite complete interface for musical notation, which allows you to quickly transmit and modify ideas with others. One writes a riff or base theme that is then circulated by the other members, until it becomes something that everyone likes. Well, in fact each of the pieces that can be heard in Tecnocracia was carefully composed and revised by each of the members of the band. Our idea is not to terminate a composition until we all consider that it flows the way we want. The problem with this method is that it can be very long and cumbersome: the track “Tecnocracia,” for example (which as you know is a 27-minute piece) was in the ink for about 3 years. Sometimes it is very difficult to reach a general consensus, and many ideas are forgotten. We have literally crushed whole tracks, to rearrange riffs and turn them into new ideas or themes. We live in a third world country where material means are scarce and expensive. All the members of the band (except the bass player) worked many hours a day to survive, and it was hard to find the moments and capitals to record. Obviously this lengthened the recording time much, and if I had to describe the process, I would say it was arduous and laborious. A personal anecdote illustrates how frustrating it became: after having finished recording the guitar bases of the entire album, I discovered that they were all unusable due to background noise, and I had to record ALL the album again. Anyway, it is worth emphasizing that beyond any mishap or effort, the album was thought and made with much love and pleasure, and it is exciting to listen to what once was in the mind of each one of us. How long Tecnocracia was in the making? Well, if we take into account the time of composition plus the recording time, about 5 years ago we are planning to release this album. As I said, we all had to spend time between families and work, and an economic space that allowed us to record. Uh, they are many and vary according to each member. Usually we go from the current progressive metal (Dream Theater, Symphony X, Haken, Freak Kitchen, Opeth, etc.) to the most classic progressive rock (Pink Floyd, King Crimson, Yes, Kansas, Genesis, ELP, UK, etc.). Personally I am always trying to open and expand my musical field. I enjoy jazz, fusion, chamber music… I can go from listening to John McLaughlin, John Coltrane or Yamandú Costa to Children of Bodom, Protest the Hero or King Diamond in a heartbeat. I admire all the music that implies a challenge (a commitment) for the interpreter and the listener. I love to hear that the musician is giving his all, that he is engaging with the listener. Well, musical instruments and musical language in themselves are a technology. It is true that as in all aspects of human life, digital technology is becoming more prominent. It would be quite hypocritical to say that this does not help the music, since my main way of composition is through digital devices. The very advent and development of rock and metal is the result of the application of digital technology. It is a fact that we are already listening to music that “has not been played” by the hands of an instrumentalist (techno), although it is debatable, since the use of the digital interfaces related to the musical, also becomes a specific technique. Taking this last, a DJ would be an instrumentalist, and that is valid for me. I believe that every artist wants to convey a message beyond the discipline that addresses them. Music, like any artistic expression, is a medium through which the human being expresses feelings and emotions. Therefore there is always an implicit purpose behind art. My personal purpose is to find that other person who lives in any part of the world, who is feeling the same as me and can not find ways to contemplate or channel their concerns. For now the plans are to try to spread the album, play live wherever possible. In short, get juice from the hard work of recording. Then we will see what the new technocratic world holds for us… Thank you and greetings to all the proggers in the world!! Tecnocracia is available from Bandcamp.